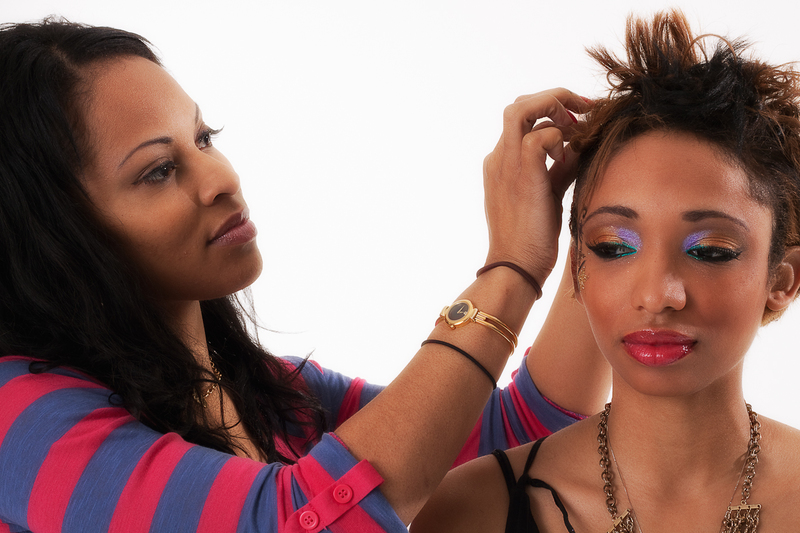 Had a fun Photo Shoot today with model Brittany Gordon. The photographer was from terranova studios. Josh is working on making a photo session where the focus is on movement. Brittany had to keep dancing while dancing to a up beat pop song. Josh wanted the punk/ rocker look for her. 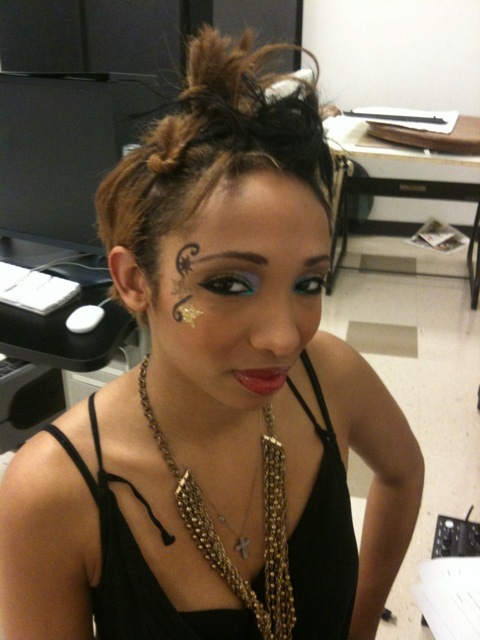 So i did her hair in spikes and added a little design on the side of her face with dramatic eyes.